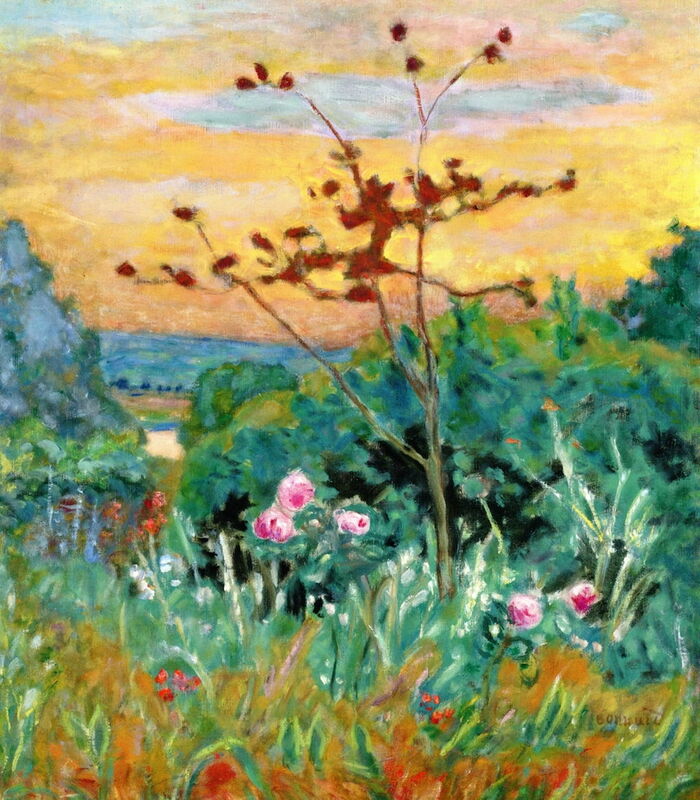 Pierre Bonnard (1867-1947), In Summer (1931), further details not known. Wikimedia Commons. Today, Pierre Bonnard is probably most famous for his paintings of women, particularly those of Marthe in the bath, which I surveyed last week. Throughout his career, even from the years before he met Marthe, he was an avid landscape painter. In researching this series, I have been amazed at the many landscapes which he painted, not just in his later years at Le Cannet, but throughout the period that he worked primarily in the north of France. 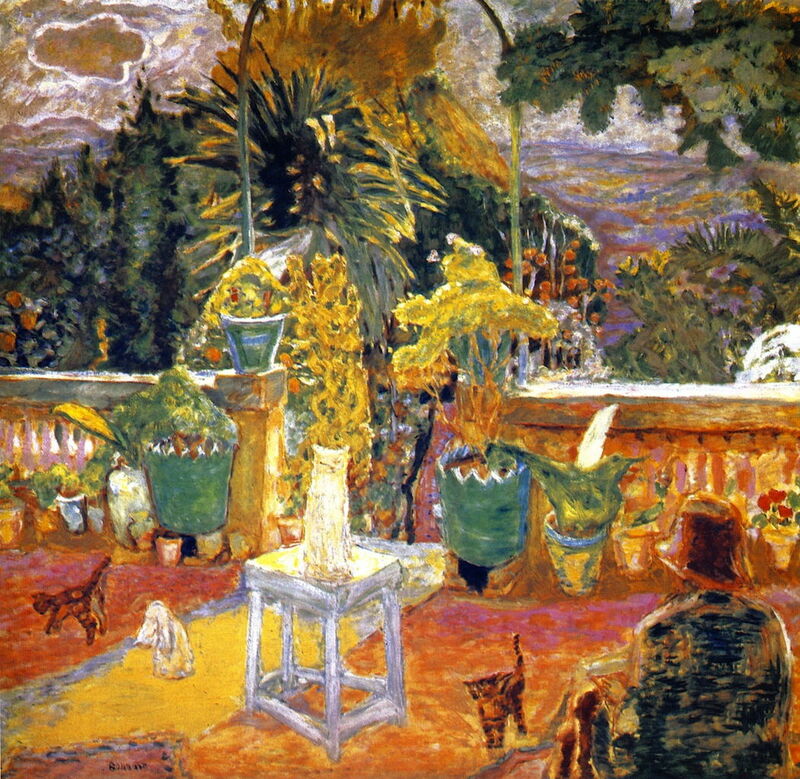 Bonnard started painting as a resident in central Paris, and maintained a flat and studio there into his late years. He travelled extensively, though, and in the early twentieth century started to migrate slowly to the south of France, settling in the small town of Le Cannet. In this small selection of some of his finest landscapes, I give simply the title, year, and approximate location of the view. I hope that you enjoy this unusual overview of more than fifty years of his work, which demonstrates how his style evolved, but confirms how little his paintings really changed, in comparison to the huge changes which took place in art over this period. 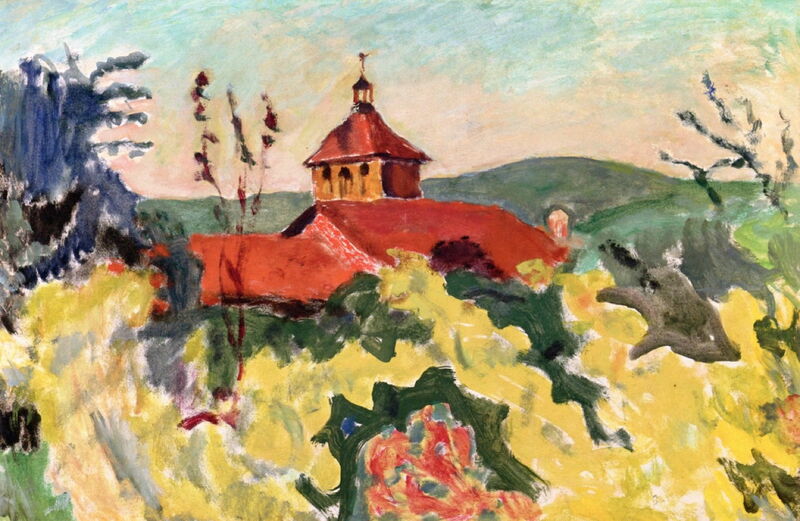 Pierre Bonnard (1867-1947), A Red Roof (1894), oil on canvas, 30 x 50.5 cm, Private collection. The Athenaeum. 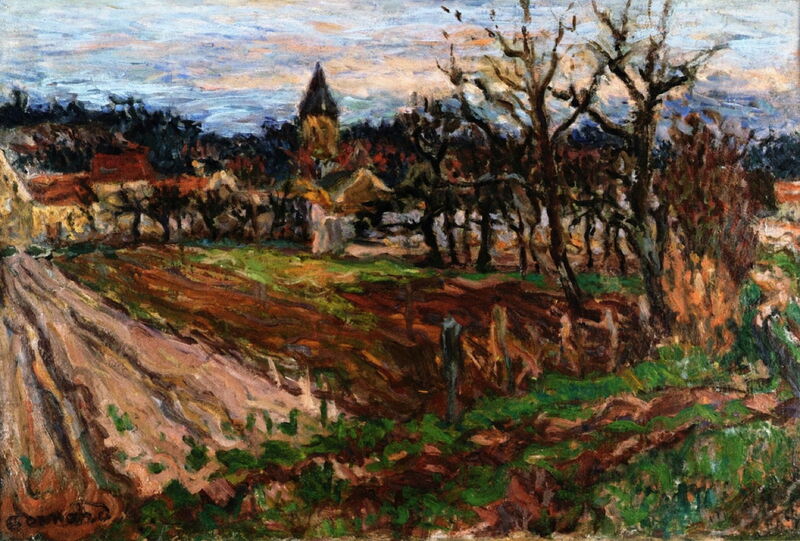 A Red Roof, 1894, near Le Grand-Lemps, Isère, eastern France. 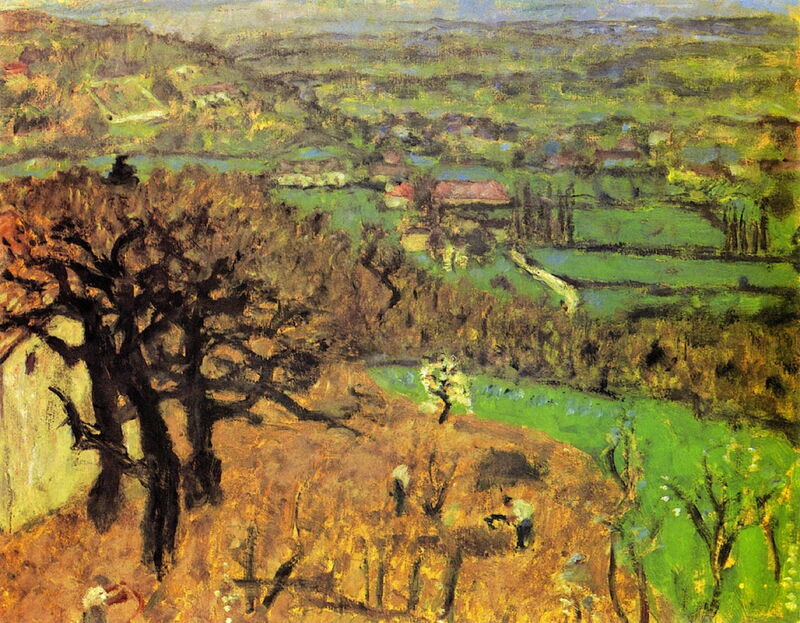 Dauphiné Landscape, about 1899, near Le Grand-Lemps, Isère, eastern France. Vétheuil, about 1902, to the north-west of Paris. In a Boat, about 1907, possibly in the south of France. 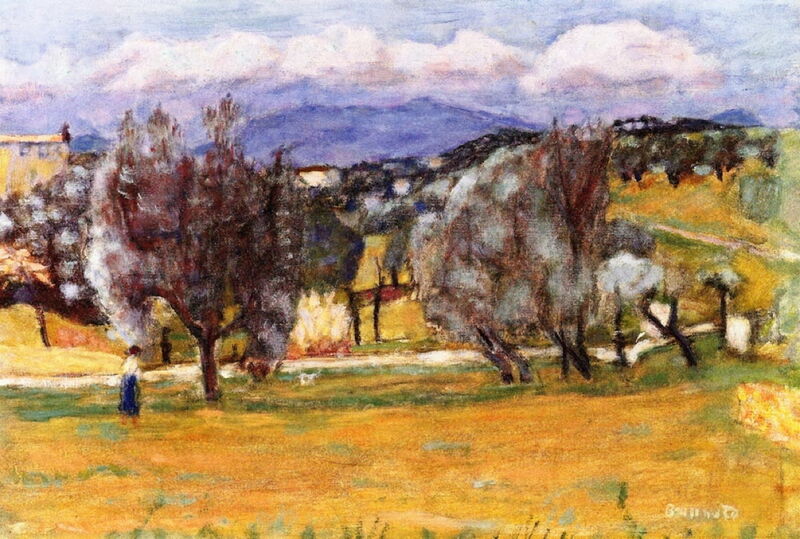 Pierre Bonnard (1867-1947), Early Spring (1908), oil on canvas, 87.6 x 132.1 cm, The Phillips Collection, Washington, DC. The Athenaeum. Early Spring, 1908, possibly the Terrasse family, probably northern France. 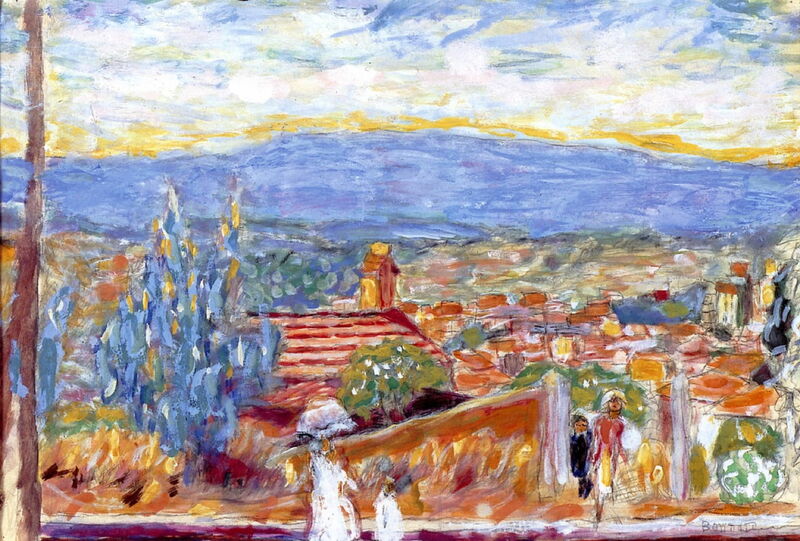 The Terrace at Grasse, 1912, Grasse, inland of Cannes, south-eastern France. Blue Seine at Vernon, 1912, Vernon, near Giverny, north-west of Paris. 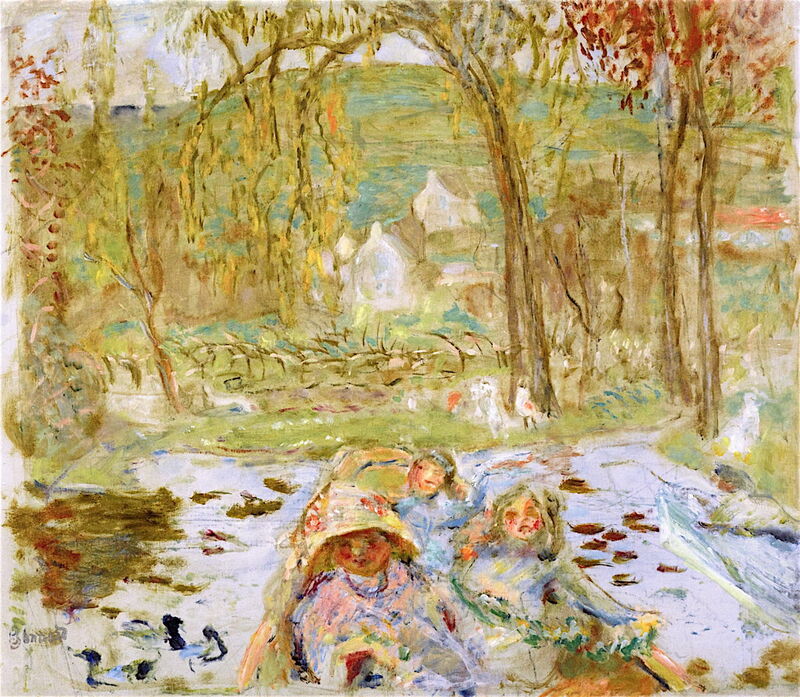 Pierre Bonnard (1867-1947), The Garden at Vernonnet (1915), oil on canvas, 61 x 53.8 cm, Private collection. The Athenaeum. 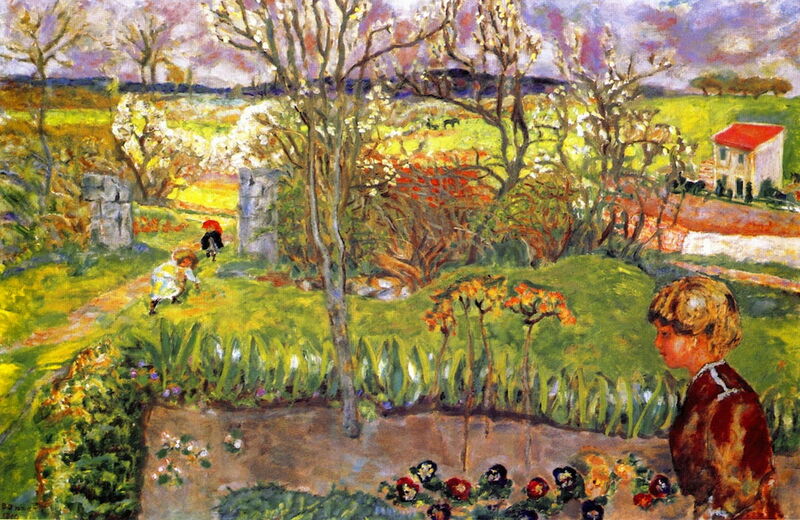 The Garden at Vernonnet, 1915, Vernon, near Giverny, north-west of Paris. 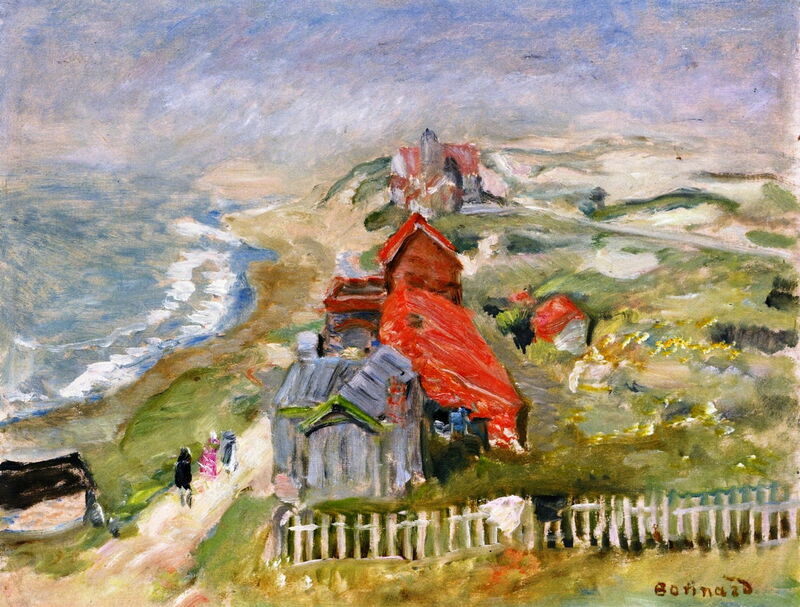 House by the Path on the Cliff, 1918, probably northern France. 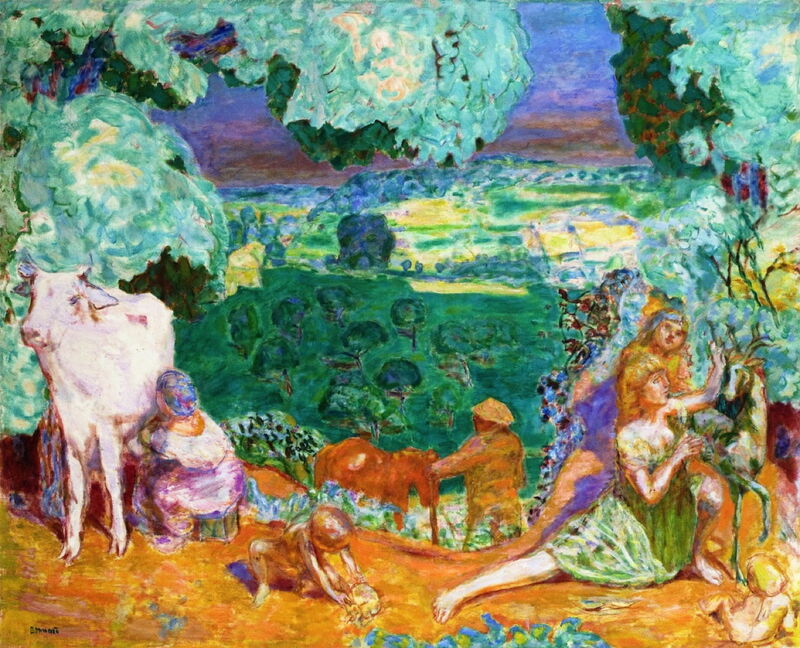 Pastoral Symphony, 1916-20, location not known. The Riviera, about 1923, southern France. 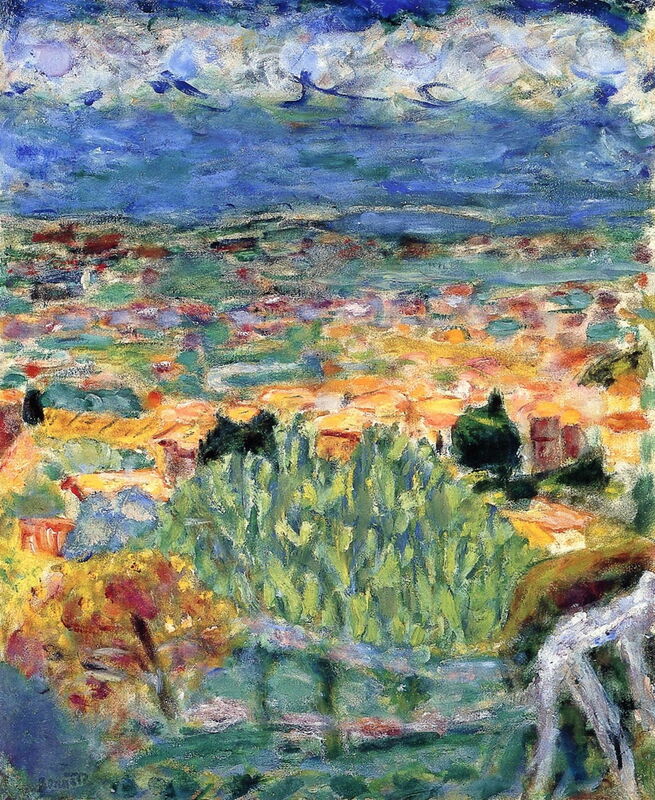 Pierre Bonnard (1867-1947), Landscape with Mountains (1924), oil on canvas, 40 x 59 cm, The Phillips Collection, Washington, DC. The Athenaeum. Landscape with Mountains, 1924, location not known. 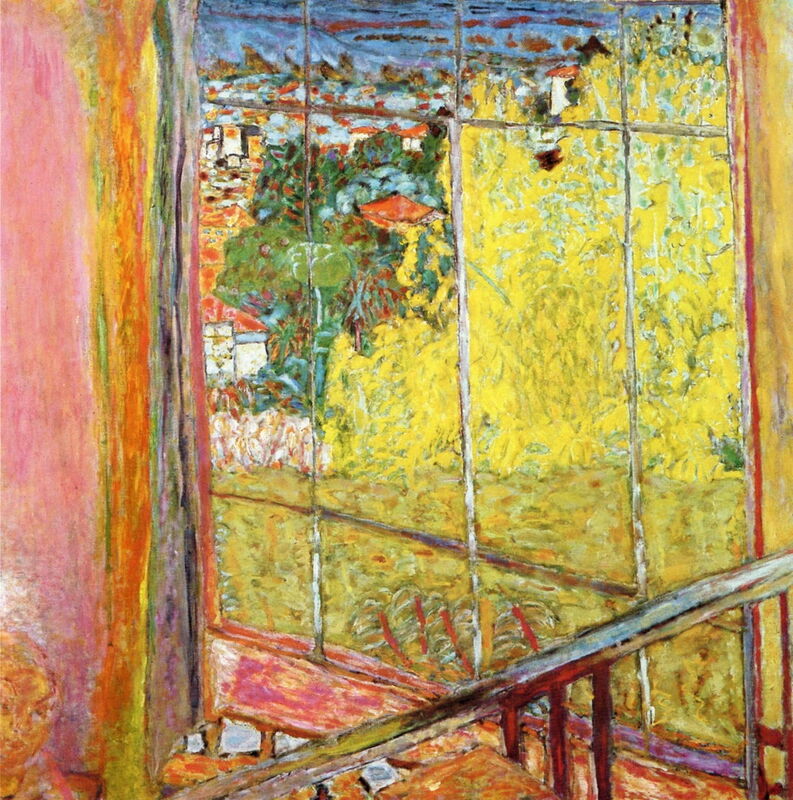 Pierre Bonnard (1867-1947), Le Cannet, View from the Pink House (1926), oil on canvas, 40 x 55.3 cm, Private collection. The Athenaeum. 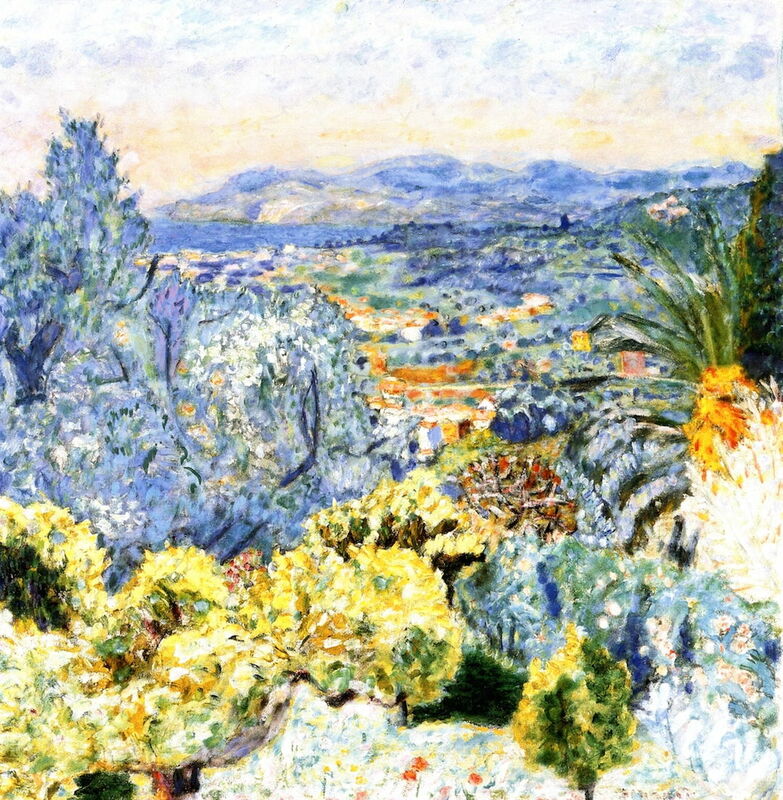 Le Cannet, View from the Pink House, 1926, Le Cannet, south coast of France. View of Le Cannet, about 1930, Le Cannet, south coast of France. 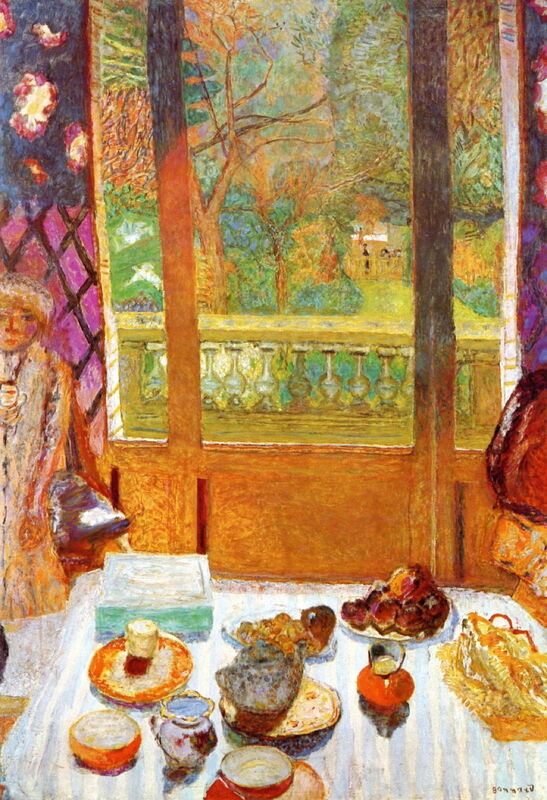 Pierre Bonnard (1867-1947), The Breakfast Room (Dining Room Overlooking the Garden) (1930-31), oil on canvas, 159.7 x 113.98 cm, Museum of Modern Art, New York, NY. The Athenaeum. The Breakfast Room (Dining Room Overlooking the Garden), 1930-31, location not known. In Summer, 1931, probably Le Cannet, south coast of France. Landscape at Le Cannet, 1938, Le Cannet, south coast of France. 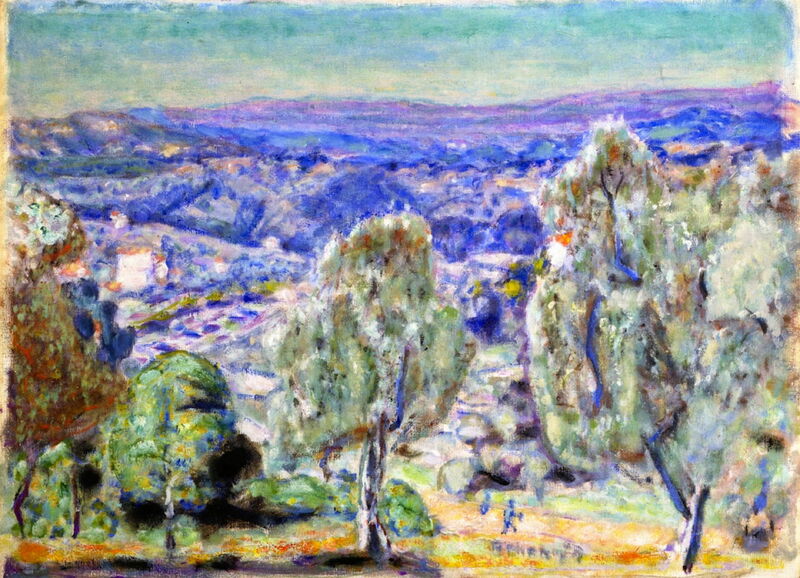 Pierre Bonnard (1867-1947), Panoramic View of Cannet (The Blue Mountain) (c 1942-44), gouache, watercolour and pencil on paper, 34.3 x 50.2 cm, Private collection. The Athenaeum. 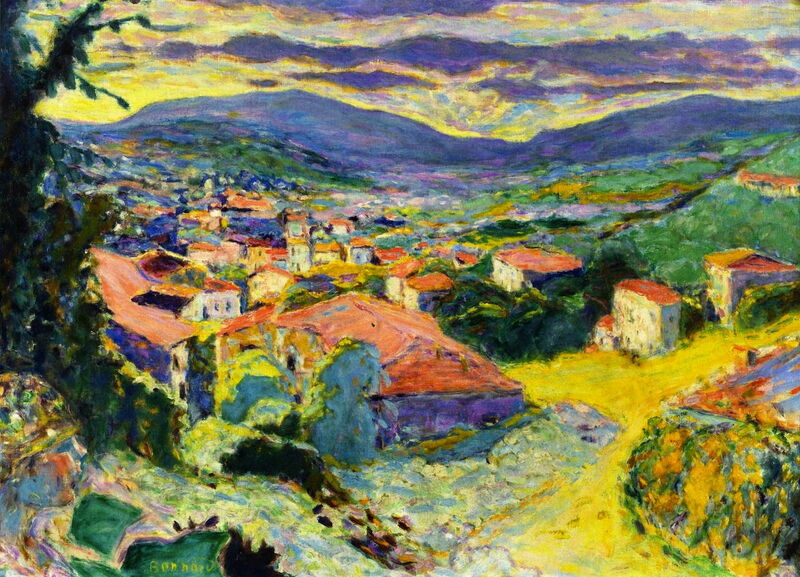 Panoramic View of Le Cannet or The Blue Mountain, 1942-44, Le Cannet, south coast of France. 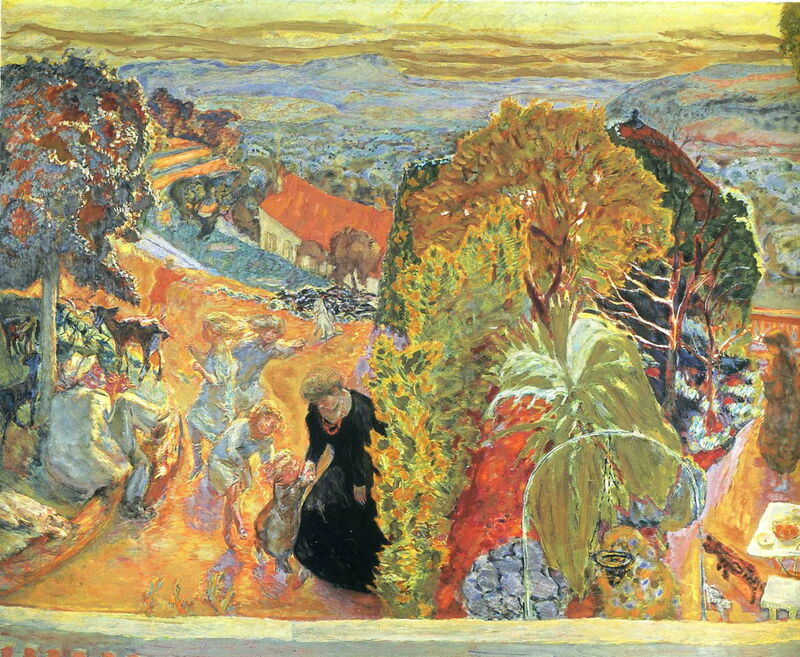 Pierre Bonnard (1867-1947), The Studio at Le Cannet, with Mimosa (1938-46), oil on canvas, 127.5 x 127.5 cm, Musée National d’Art Moderne de Paris, Paris. The Athenaeum. The Studio at Le Cannet, with Mimosa, 1938-46, Le Cannet, south coast of France. 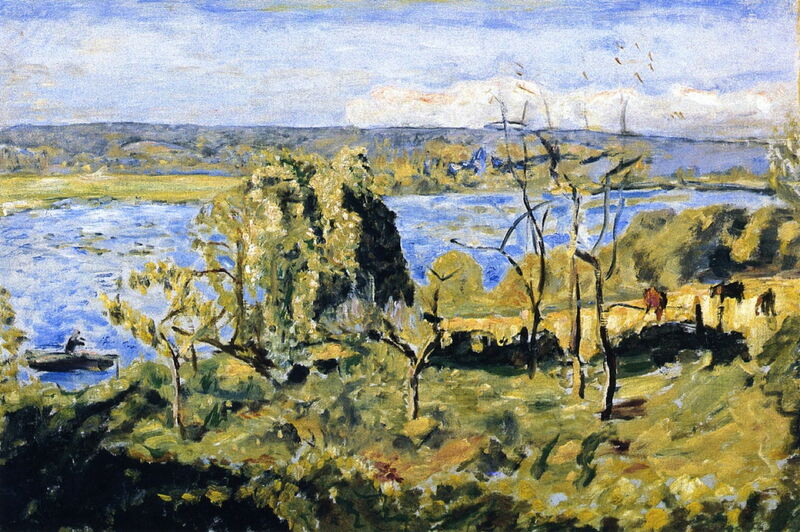 Posted in General, Life, Painting and tagged Bonnard, landscape, painting. Bookmark the permalink. This a great series. thank you. Lovely and in my view still contemporary essentially!